John Dingell served in Congress longer than any other person in American history, yet he made the common man feel uncommon, a minister told dignitaries and hundreds of other mourners during a funeral for the longtime congressman. Dingell, a Democrat who represented southeast Michigan for 59 years in the House, died on Thursday at age 92. 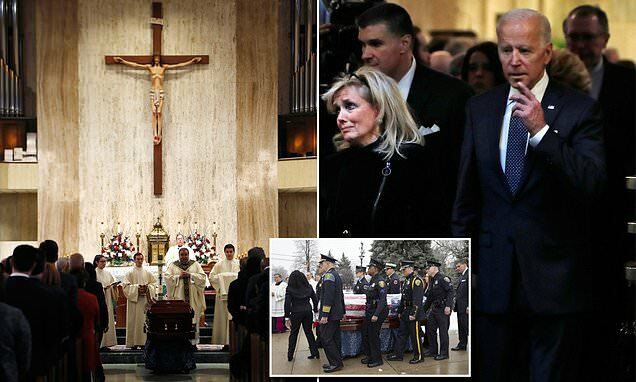 About 800 dignitaries, constituents and others attended the service on Tuesday at a church in the Detroit suburb of Dearborn. Former Vice President Joe Biden was among his former colleagues attending the service, though a military plane carrying members of Congress was turned back because of bad weather. House Speaker Nancy Pelosi was among those on the plane, and took part in an impromptu service honoring Dingell in the air when the plane was turned back, tweeted Missouri Rep. Billy Long, a Republican. On the ground, Biden eulogized Dingell, saying that the congressman believed that having a job meant more than just collecting a paycheck. It was about dignity. The Rev. Terrence Kerner also spoke at Tuesday's service.